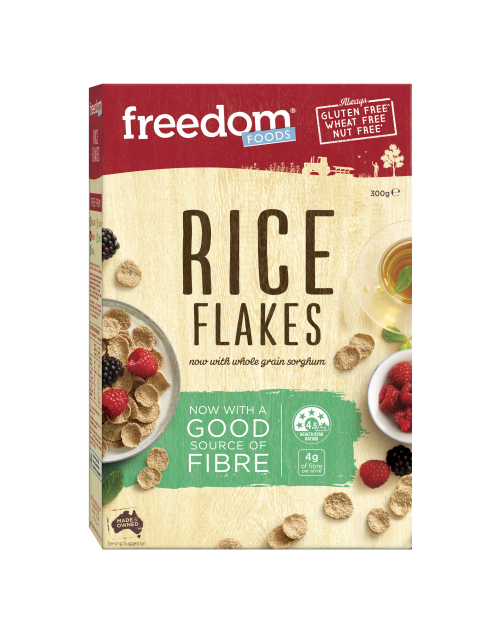 *Product manufactured in a factory that tests to ensure there are no traces of almonds, hazelnuts, peanuts, Brazil nut, cashew nut, macadamia, walnut, pecan or pistachios. Vegetable Protein Extract (Corn) (39%), Thickener (1401) (From Corn), Water, Maltodextrin (From Tapioca), Glucose, Acidity Regulator (330), Vinegar, Caramel, Niacin, Riboflavin, Thiamine, Folate. 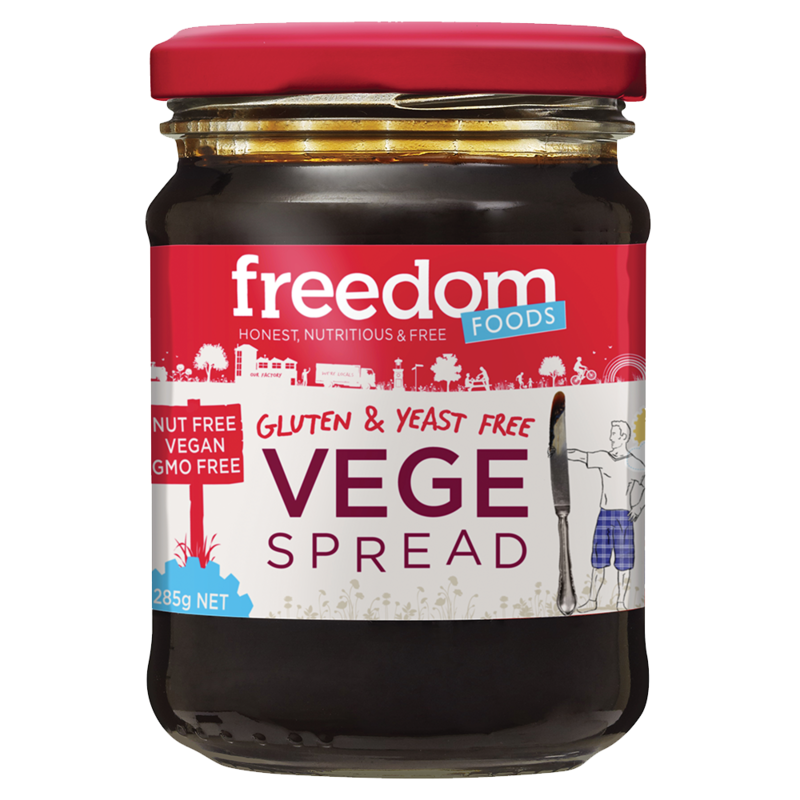 Freedom Foods Vege Spread is free from gluten and yeast, but still has all the flavour of the vege spread you grew up with. It’s also has no artificial colours, flavours or preservatives. Spread it on toast for a satisfying breakfast, lunch or teatime snack. Free from gluten^, nuts*, wheat, yeast. Browsing in Woolies this stuff just leapt off the shelf at me…..so glad it did. Vege spread is a ripper. As a vegemite addict who has been told to give up gluten and yeast this is a god send. Besides it tastes even better than you know what. I love vegespread. It has been a staple in my kitchen for years. Only trouble now is that I cannot get it from either of the duopoly retailers. Is this just a temporary glitch in the supply chain or should I try sourcing it from elsewhere? URGENT we are eating another very inferior brand atm. I love vege spread! I can’t eat gluten, and a spoon of is perfect for curing cravings. Personally, I couldn’t stand the taste of vegemite, but this is delicious. Beautiful savory spread! Yummy. Gread on fresh bread, biscuits or the add to soup or a stir fry. A delicious spread. As someone with coeliacs I was looking for a replacement for marmite/vegemite and this was perfect. I use it on toast…under eggs….and is magic with avocado…. Also ads lovely flavor to soups and stews….Nothing but good!